If you wish to not be tracked by Rejoiner in any way. 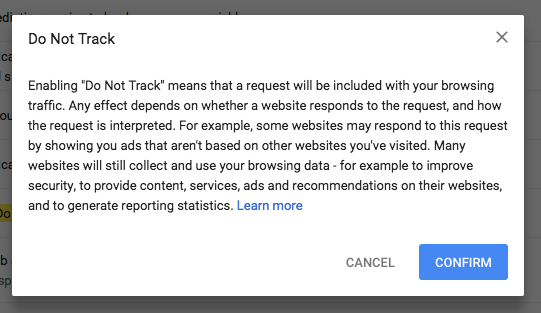 Follow the steps below to opt out of tracking. You should see a result for your search. There, click on the toggle so that it turns blue (active). This will prompt a message which you will have to confirm. Your settings should then be active. Read instructions for Chrome (Android) mobile here. Read instructions for Chrome (iPhone/iPad) mobile here. 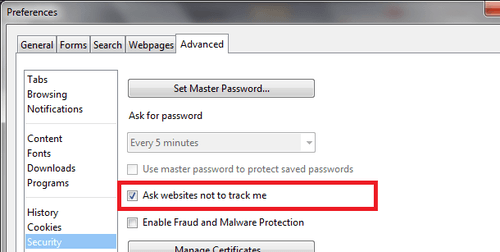 Ensure that the option labeled as "Always" in the section Send websited a Do Not Track signal is checked. 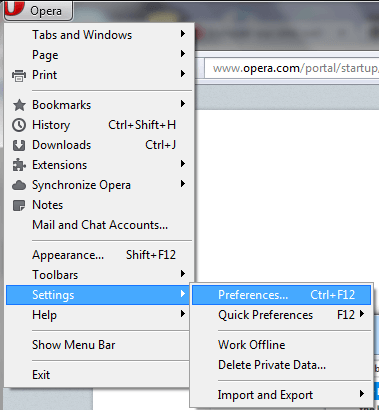 Please click here for instructions for IE 11. 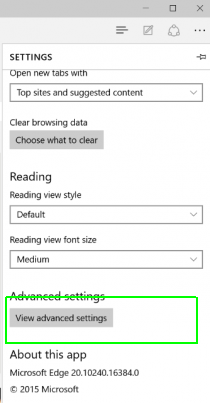 Please click here for instructions for IE 10. 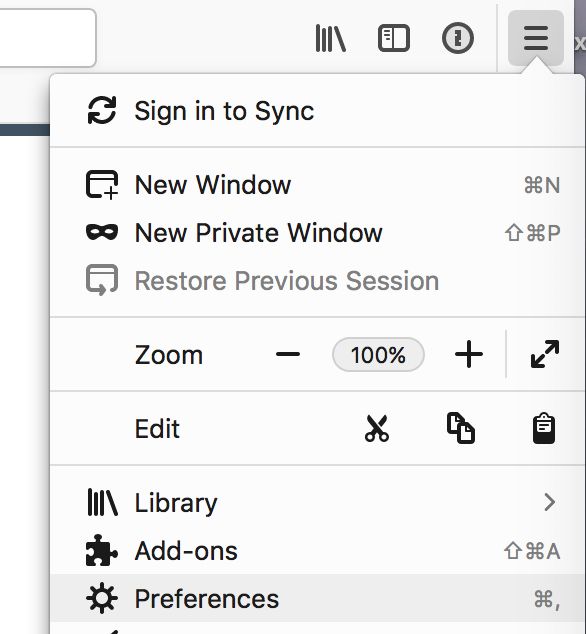 Go to Safari then Preferences. 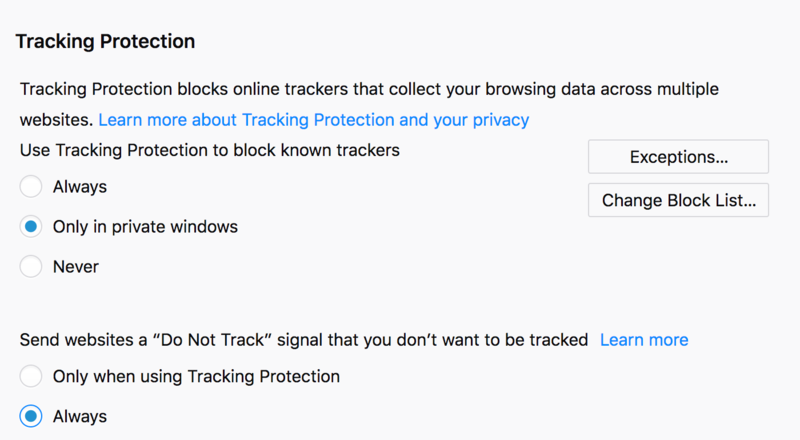 Then select Ask websites not to track me. Go to Settings, then Preferences. Click on the Advanced tab and then Security on the left side meny. 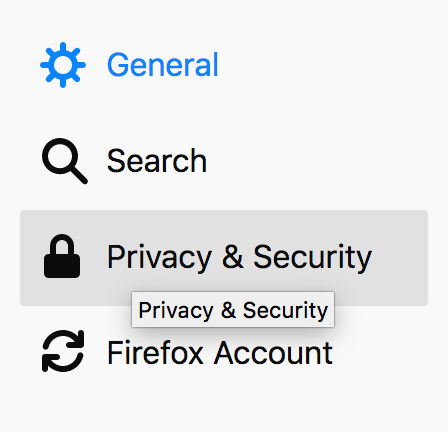 Check the option labeled as Ask websites not to track me.